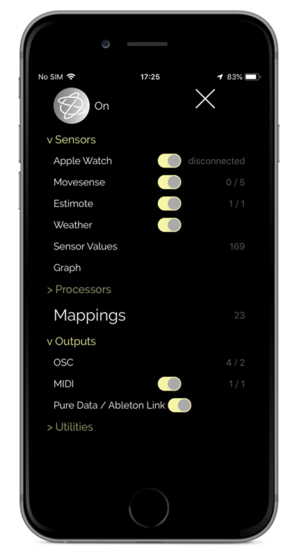 Holon.ist is a mobile music platform that allows advanced users to create their own musical mappings from real-world data. Integrations with Ableton Live, Eurorack modular, Reaktor and VCV Rack. Native support for OSC with two-way communication. mDNS autodiscovery for zero configuration setup. MIDI over USB, Bluetooth, WIFI, and Inter-App Audio. Support for hardware sensors and IoT data. For more detailed information, please see our User manual and download our Holonic Source plugin, for VCV Rack, Reaktor Blocks, Ableton Live.